Frost river introduced a collection of black waxed-canvas and leather products with antiqued hardware. 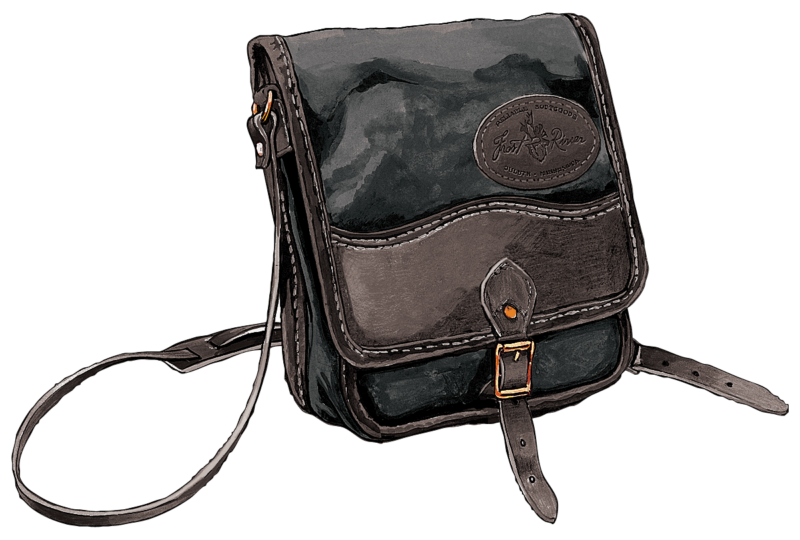 This is that version of their popular Field Satchel. Gouache with digital retouching.